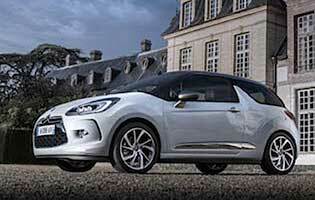 The role of the DS3 in Citroen's recent revival of fortunes shouldn't be underestimated. The DS spin-off brand has done wonders for the French firm's bottom line and raised awareness among sometimes difficult to influence young buyers. This mild refresh proves that the basic formula works and the only changes are minor, albeit welcome ones. 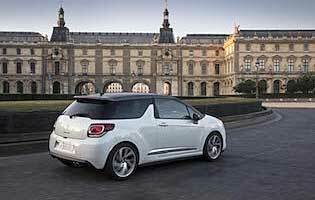 It would be easy to brand the DS3 as the French Mini, but that's a pretty accurate observation. Until the arrival of the DS3, Citroen was largely know for producing unadventurous cars - a long way from its illustrious past. The DS3, with its bold looks and equally bold personalisation options, changed all that and allowed Citroen to reconnect with young buyers and those seeking an antidote to BMW's Mini steamroller. In revised guise the DS3 addresses a few previous niggles and moves forward in the predictable areas of economy, emissions and refinement. In top-spec trim the GTI-esque DSport model's 1.6-litre turbo petrol engine gains a few extra horsepower, while it's a little cleaner to boot which should help with running costs. Outwardly the DS3 gains new headlights and tweaks to its nose and tail, while the cabin benefits from some welcome material trim upgrades. There's more kit to choose from but the headline news is the availability of an auto brake function, triggered when the car detects a slow or stationary vehicle in its path and you fail to react in time. At urban speeds the car will brake to reduce harm to all concerned. 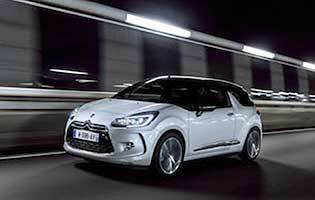 The modest changes to this DS3 are proof that Citroen got it largely right first time. The French firm's Mini rival remains a competent alternative to the benchmark car in this class. 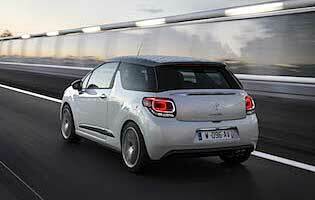 In high power THP 165 trim the DS3 is good fun to drive, delivering an experience that's both refined and engaging. Despite the updates select cabin material could be better, but the overall ownership proposition ensures that the DS3 deserves all the praise and sales success it's experienced to date. Even in high-spec DS3 DSport guise the car won't break the bank thanks to economy and emissions savings. Further down the range the lower capacity petrol and diesel variants should deliver in greater savings. If you want some of the fancy trim or entertainment options you'll need to set aside some extra cash, though. The DS3 boasts a good size boot for a small car, meaning the rear seats won't need to be routinely dropped where they might in some rivals. Space for front seat occupants is reasonable, but don't expect adults to relish the chance to sit in the back - it's a challenge to get in and legroom isn't great, making it better for children. Oddment space is also modest, but there's enough for essentials items like mobile phones. The modest uplift in quality and tweaks to the car's switchgear haven't really impacted on the DS3's basic operation. Cabin controls and displays are intuitive, while the colour infotainment screen can sometime feel a little cluttered when lots of navigation information is being displayed. Also, the input method for addresses is a little slow and clunky by superior touchscreen standards. Despite the car's modest dimensions ride comfort is good on all surfaces and rarely feels choppy and uncomfortable. Noise levels are also well contained, although the turbo petrol motor could never be described as tuneful anyway. Rear cabin space is modest at best but tow adults can sit together in reasonable comfort; it's wise to keep your elbows in, though, for good measure. All models benefit from remote central locking and automatic door locking once on the move. Don't expect any fancy security gadgets here, though, at this price point. If you want to deter the opportunist thief you'd be better of with a mechanical steering lock or extra security at home. Numerous airbags and a reinforced safety cell are standard and the DS3 can boast a solid crash test rating. ABS with brake-force distribution is standard as is ESP. Isofix points are also included. New for this revised DS3 is an auto brake function that's active across a wide spread of speeds, which detects obstacles ahead and applies the brakes to mitigate the chances of injury. Unlike the donor C3, the DS3 offers keen drivers a good deal of pleasure. In top spec petrol guise, the revised 1.6-litre petrol unit's 165 horsepower delivers a useful slug of power and helps inject a big does of fun to proceedings. Steering, suspension and gearshift all behave positively and deliver good levels of feedback. Overall the DS3 is a 'chuckable' car in the same vein as BMW's Mini. Although the DS3's rear seats can accommodate two small children, the car remains a compromise as it's not available in five-door form. More of a car for the fashion conscious driver free of dependents, families should probably look to the C4 for a more suitable option. It's fair to say that the DS3 offers an excellent mix of qualities for a young driver or first time car buyer. Smartly styled, reasonably practical, well equipped and affordable in lower specification guise, it should appeal strongly to younger drivers. It's also an easy car to drive and own, although sticking with the low power cars should also keep costs down. At the front there's enough room for two adults, although it could be described as snug if both are on the large side. At the rear the car's boot is accessed by a straightforward tailgate hatch. The built-in navigation system available on the DS3 is neatly incorporated in the centre console but can prove a little laggy in built up areas. Bluetooth and USB inputs are present, and the standard audio system delivers a good quality sound and is easy to use. With and exterior and interior fully customisable with a range of different colours, trims and decals, there's huge scope to make the DS3 yours. Internal and external standard equipment and finish depends on the trim level opted for, but all models feature distinctive daytime running lamps. Thanks to its compact dimensions the DS3 is an easy car to park. The bulky B-pillar does restrict over-shoulder visibility a little, but the steering is suitably light in town, and the turning circle very respectable for a car of this size. Factor in parking sensors and it's unlikely you'll have any real problems. Petrol engine options - 1.2-litre (82bhp, 110bhp); 1.6-litre (120bhp and 165hp). Diesel engine options - 1.6-litre (92 and 120bhp). Transmission options: five-speed manual gearbox, six-speed manual gearbox, four-speed automatic gearbox. Trim levels: DSign, DSire, DSport, DStyle, Ultra Prestige.